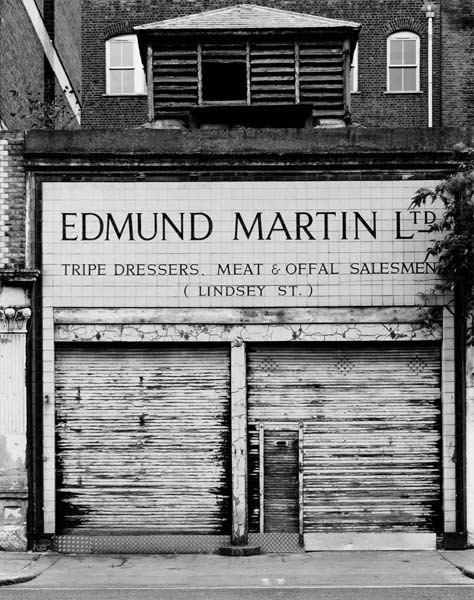 We have taken visual stock of districts in and around the edge of London’s Square Mile, rooting about in lesser known streets and vistas. 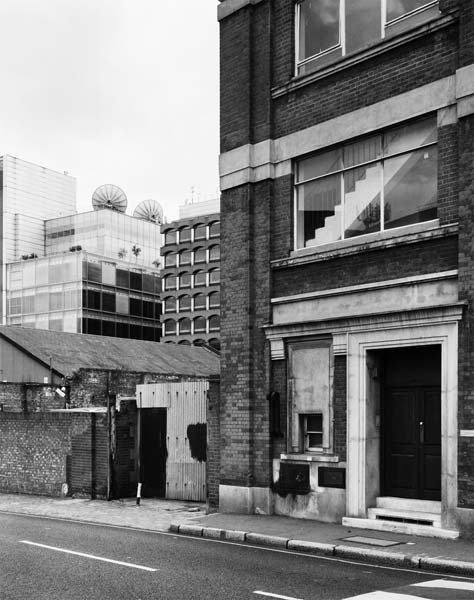 “Edge of the City” covers neighbourhoods such as St Pancras, Smithfield and Whitechapel, situated close to and servicing both the City of London and the West End. Finding inspiration in the late-Victorian Society for Photographing the Relics of Old London as much as in Eugene Atget, Thomas Struth or Gabriele Basilico, we have produced over one hundred black and white negatives using a 5×4 view camera, processing and printing the work ourselves in a traditional darkroom. 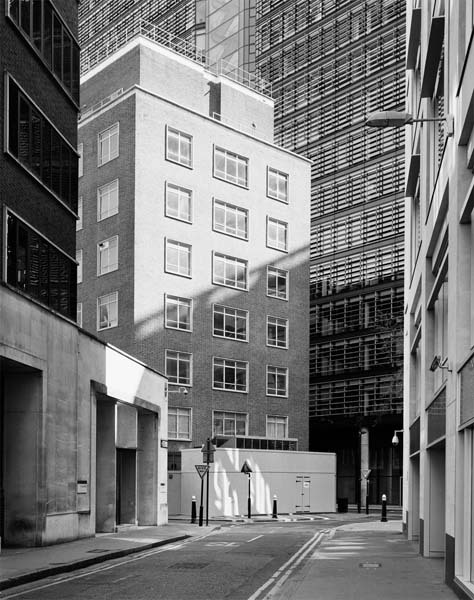 The resulting photographs, though quiet and still, suggest various and overlapping activity, giving visual coherence and organisation to the layers of history and the jumble of buildings, streets and spaces that make up London’s changing cityscape.